For many years in the early days of web development, one of the biggest challenges for a web developer was creating and using forms properly. While the HTML and CSS were challenging in one capacity, the actual collection of data and ability to use effectively was another ballgame altogether. Fast forward to modern web development and WordPress (and other content management systems) has changed how we manage and organize content. And, Gravity Forms by Rocketgenius, Inc has changed how we can quickly and easily add forms to a WordPress site. Gravity Forms includes drag and drop ease for form creation with sophisticated, advanced logic options. It has common fields that used to cause developers headaches ready to go (e.g. 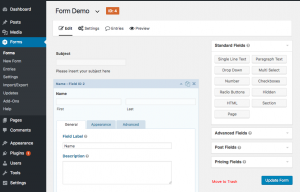 email, phone, address), while also allowing you to create complex custom fields on the fly. Let’s take a look at the top 3 reasons that we think makes Gravity Forms one of the best WordPress plugins of all time. First, the time saved by using a plugin like Gravity Forms versus coding the form yourself is a no-brainer. You can drag and drop the form fields, set your options, add messaging, and your form is ready to go. To add a form to any content area of your site, you can use a simple short code or ‘add form’ option on a page or post. It really is that simple. 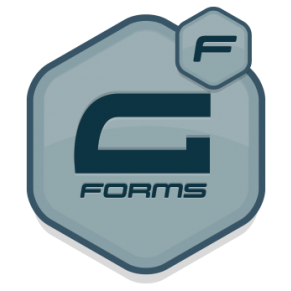 The plugin has so many variations of form fields that you would be hard pressed to not find what you need to add to your custom form. Once you have the form ready to go, you can add notifications and confirmations to communicate with your users better than ever. Notifications are the emails sent from the form to either the admin(s) or the user(s). Confirmations are the messaging that can happen on the screen, redirect to a separate page, or an email sent to confirm the form has been sunmitted. Historically, this was always a sticking point for form development, but Gravity Forms handles with ease. A great example of the smoothness of messaging would be to have a confirmation message appear on the screen when a user submits the form. A notification email is sent to the admin with all of the pertinent information, and a notification is also sent to the user so they know the form went through successfully. All notifications and confirmations can be styled using the WordPress editor, including images, media, and more. One advanced feature I love is the ability to include merge tags into the messaging. You can grab the data entry from the form field and then include in the custom messaging however you like. Instead of a generic, catch-all message you can speak to your audience much more clearly and directly this way. Gravity Forms has exploded in popularity, but they have done an amazing job of including other popular applications as well. Using simple API keys, we have connected our CRM system (Capsule) and our email marketing platform (MailChimp) with our Gravity Forms. Each form is independent and can create “feeds” to send information from the forms to these other systems. For example, when a user submits a form on the DWC website, a feed sends the information to our Capsule CRM so we know who what person is in the future. If necessary, a task or opportunity is created to follow-up with the new user. If the user asks to be added to the email newsletter, we also send a feed to MailChimp to add them quickly and easily. 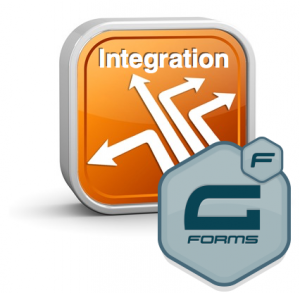 There are countless form plugins on the market, but Gravity Forms has been rock solid since day one of purchase. We have customized and integrated forms in amazing ways, with very little coding or expertise necessary. We highly recommend your purchase Gravity Forms for your next WordPress website project. Fill out the form below to request more information about Top 3 reasons Gravity Forms is one of the greatest WordPress plugins...ever or to request information on customized individual or group training sessions.